Thomas “Sony” Albert Wooten, age 81, passed away February 5, 2019. He proudly served his country in the United States Army. He served as a Green Beret Communications Officer. 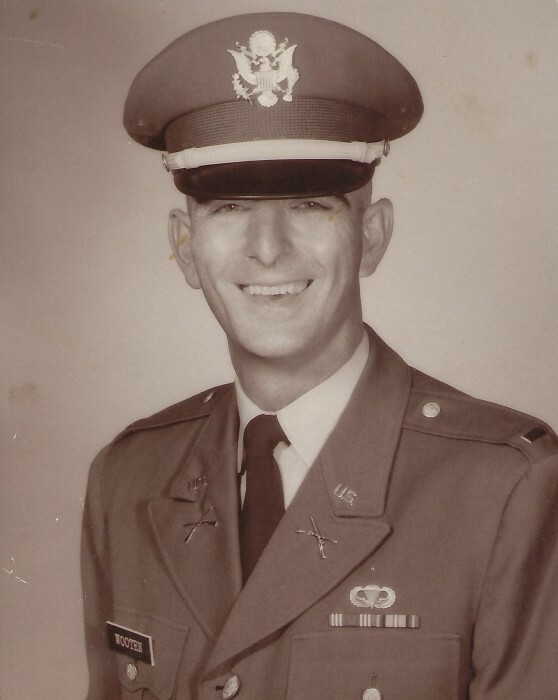 His military career was decorated with many awards including a National Defense Service Medal, Good Conduct Medal, Bronze Star Medal, Vietnam Service Medal w/1 Silver Star, Vietnam Campaign Medal w/60 Device, Vietnam Cross of Gallantry w/Palm, 4 Oversees Service Bars, Armed Forces Expeditionary Medal, Combat Infantry Badge and a Bronze Star Medal w/V Device. He retired from the US Military as a Captain. He is preceded in death by his parents, Herbert and Reba Wooten; daughters, Cynthia Wooten Trotter and Tanya Wooten Tabor; grandson, James Tabor; sister, Jean Cady. Those left to cherish his memory include his wife, Patricia Wooten; grandchildren, Joseph McCullough Wooten, Tommy Trotter, Mark Trotter, Barry Tabor, Jr., Brittney Tabor Dilmore and Michael Tabor; five great-granddaughters and one great-grandson on the way; siblings, Craig Wooten and Rebecca Wooten Taylor; numerous other relatives and friends. The Graveside Service for Thomas “Sony” Albert Wooten will be held at Biloxi National Cemetery, Friday, February 22, 2019 beginning at 11:00 AM. Moments Funeral Home, locally owned and operated in Lucedale, Mississippi is honored to be in charge of these arrangements.